are within their watt cont/peak at 150/400w at 8 ohm. My problem with this is that I can't find any receivers at all that even supports at least 150w at 8 ohm per channel, and these receivers are around the 3000$ mark. Am I going about this "Receiver-speaker-wattage"-thing wrong or am I just in the wrong price class? Those speakers are really easy to drive. Any modest receiver would do well. I 'd suggest any Yamaha RX- A series avantage, and you should be all set. the power indicator ifs for peak and max handling. 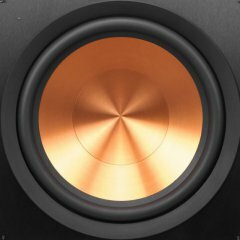 the rb's like all Klipsch are super sensitive and don't need many watts to drive them well. good luck .